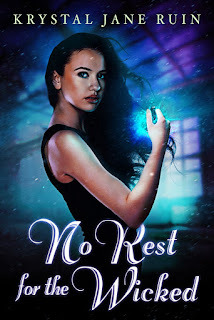 No Rest For The Wicked is available at Amazon, Barnes and Noble,IndieBound, and tons of other places, too! During NaNoWriMo 2010, I attempted to write a serious work of historical adventure set in Tudor England, just as the Dissolution of the Monasteries was taking place. I gave my lead character a pretty outlandish first name--but it was a very Catholic first name, so I figured I could get away with it, since the character was born in a convent. But as I was scrabbling around for a name that wasn't Elizabeth, Anne, Mary, or Catherine for a female character, I decided to ask a friend to help me brainstorm first names. Her suggestions weren't usuable for the time and place and that's when I realized that figuring out historically appropriate names for your characters is probably one of those odd historical fiction writer quirks. (For the record, among her suggestions at the time were Avery and Shirley, both of which were last names, then became first names given to boys in the mid-to-late nineteenth century, then more recently, given to girls as first names). my friend Krystal Jane Ruin's book is out today!! We had Chinese food--well, the Japanese version of it--twice: once in Hakone and once in Tokyo. Both times, we ate family style and both times, it was flavorful but not the greasy and overly sauced foods that we in New York get from our Chinese take-out restaurants, which usually find some way to upset my stomach. The second time we had Chinese, the food was placed on a lazy Susan and we took what we wanted of the dumplings and fried rice and beef. I had a light lunch with my aunt and her friends one afternoon in Ginza, in a French-inspired tea shop called Le Mariage, where we each had an individual pot of tea and super pretty plates. I had crab and carrots wrapped in a spring-roll like thing with a sweet orange dressing (or so I was able to glean from the menu, which was written in French and Japanese. Sometimes, the four years of French I took in high school come in somewhat handy). It's IWSG time! 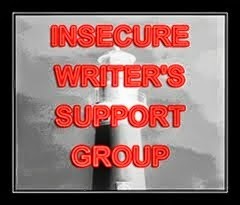 The Insecure Writer's Support Group is a large network of writers and we vent our frustrations and questions to the world every first Wednesday of the month. Check out IWSG here. I'm writing again, what I think will be a full-length novel, a historical romance. I've read countlesss historical romances. I've even read a few where the heroine starts out a widow or married to someone else, but then falls in love with the hero and gets her HEA. So, I'm not too worried that my heroine's just become a widow in Chapter One. Besides, it's a draft and I may very well trim the beginning next draft. Sigh. Oh well. I'm having fun while writing this, actually since it's kind of like visiting old friends; these are characters I've had in my head for quite a while. This month's IWSG question: What is the coolest/weirdest thing you've ever had to research for your story?